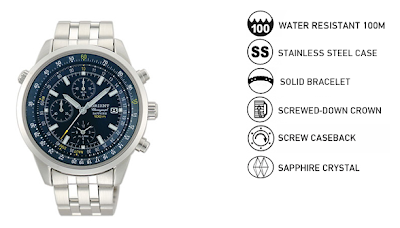 Orient Watch USA is sponsoring this month's giveaway! Orient Watch is a Japanese watch company that dates back to 1950 and prides itself for their mechanical watches, which are built by combining single precision parts. Knowing how the Japanese manufacture their goods with a strict attention to quality and detail, these are the sort of watches that can be handed down from one generation to another. The best part of all? 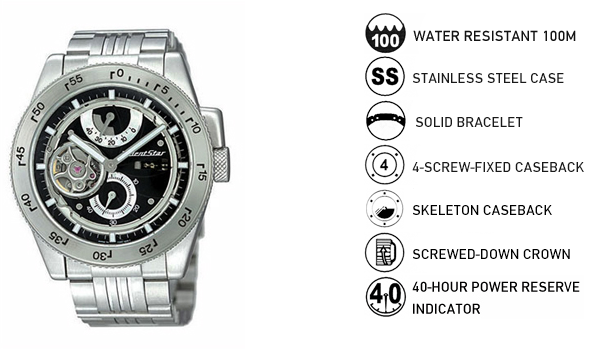 Orient Watches are reasonably priced, and for one lucky reader, can be had at no cost at all. 2. Tell us how you're going to wear your new watch! If you plan to gift your prize, tell us who you'll give it to! 3. To get an extra entry, follow @OrientWatchUSA and myself, @CD_MFO on Twitter and tweet "I want an Orient Watch!". Don't forget to mention your Twitter ID so I can take note! I hope my entry qualifies since I want to gift it to my mom who is in the US. She's supposed to have retired but she continues to take care of all of us (and our families) though we're in 2 separate continents. I think she'll enjoy the red one. i want to win the blue one! i will wear this with almost everything because of its classic but stylish look, it can be worn with corporate or casual look, such a steal! Definitely the khaki watch. I'm gifting it to myself! I'm wearing it as a boyfriend's watch and I just know it will go perfectly with my everyday look, my "uniform" of blouses, chinos, and brogues. mitchypie1488 michelle padallan @CD_MFO "I want an Orient Watch!" i'm deeply praying to win an orient watch!!! i dont have a watch since my senior year in highschool. and now that i'm already 30 yrs. old i'm still dreaming that someday i could have one! and i like to see myself wearing a color pink orient watch! I want the Khaki watch & I am going to give it to my dad. I wasnt here when he turned 60 in 2009 and I havent given him a birthday present yet which he rightfully deserves. I know he will love this. He's the most hardworking person I know who just dotes on us his 4 children and soon his first grandson. I want the Khaki watch. A really big watch would toughen up my outfits. I would keep this watch for myself! I need a new watch to wear to work! Simply because to reward myself for being a hardworking employee and at the same time a full time mommy. Well, you know now a days.. It is really hard to spend something beyond your wants. I must say, needs come first.. I would like to win the khaki men's watch , big watches are in today and it's much easier to read time at my 40s age. This is the first time I joined a contest on your blog and I hope I win "beginners luck" ...this would be my first orient watch. I love the RED Orient Watch! It's versatile, and would look great with both casual and formal clothing! I think it would look fab on me no matter what I wear! mcsdreal @CD_MFO @OrientWatchUSA "I want to win and orient watch "
lifediscourse Alma I want to win this fab #orientwatch- red via @CD_MFO! Khaki Men's Watch! I have big hands lol! It makes my hands look more dainty. I will wear it when I go to work at the preschool. It looks casual enough but still gives me the pull together classy look that I need to have. Will Tweet as well! Thank you! franrgh frannita @CD_MFO @OrientWatchUSA I want an Orient Watch! I want the khaki! I'll give it to my husband.